Le Parc Australien is an Australian themed park! Here, you will get to see kangaroos, ostriches, parakeets, observe the life of Australian Aborigines, learn to throw a boomerang and a lot more. A wonderful place to visit with your whole family. Adults and kids over 12 years- €10, Kids (4-11 years)- €7, Under 4 years- Free. Seasonal timings are applicable. Please check the official website for timings before planning your visit. During peak season, the park offers a snacks pack. Apart from this, there are a couple of snack shacks with the park premises. Open grill and picnic tables are also available. How popular is Le Parc Australien? People normally club together O2 Aventure and School Museum while planning their visit to Le Parc Australien. All the explanations are only in french and staff only speaks basic english (some exceptions ;) Nice to feed the birds! Cracking day out! Don't expect too much but too be out in the sun! Enjoy the uniqueness of it and just also enjoy the cost effective date out! 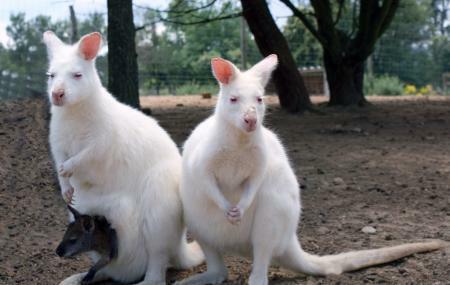 Cheap dayout and make the most of a lovely day out with Kangaroos, wallabies and bird feeding out of hands!